Clearly, I am super behind on posting my monthly purchases but better late than never, right? This J.Crew satchel was the only thing I bought for the month of April. It is of course no longer available but I still want to share a quick review. This one is almost identical. This purse was available in 2 sizes: the regular and the mini. I got the mini one which I thought was a tad small for me originally. However, after using it for a few weeks, I am convinced that the size is perfect for me. I try not to carry too much stuff on a daily basic and this bag is a great choice for daily use. I am a huge fan of pebble leather. I love textured leather in general. The leather is incredibly soft yet durable at the same time. I love that it's not the typical black or brown. The pewter color is different but plays well with other colors of all ranges. 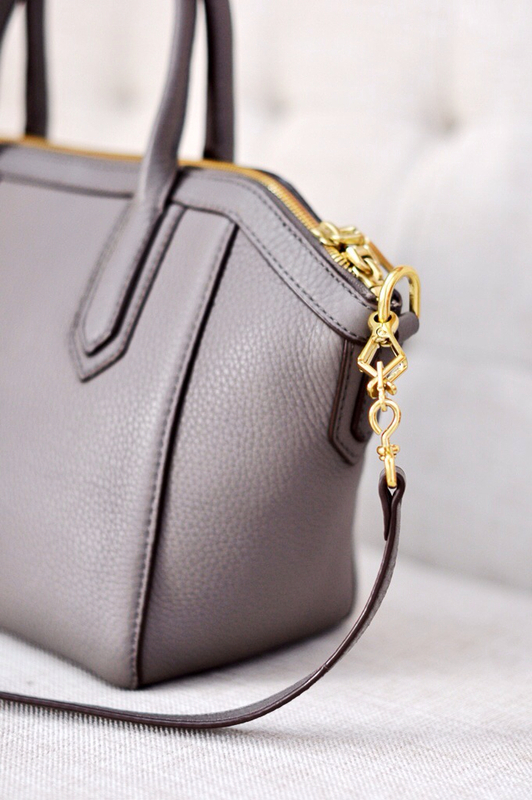 I tend to lean towards silver hardware when it comes to handbags. However, I think the gold hardware compliments the pewter so well in this case. 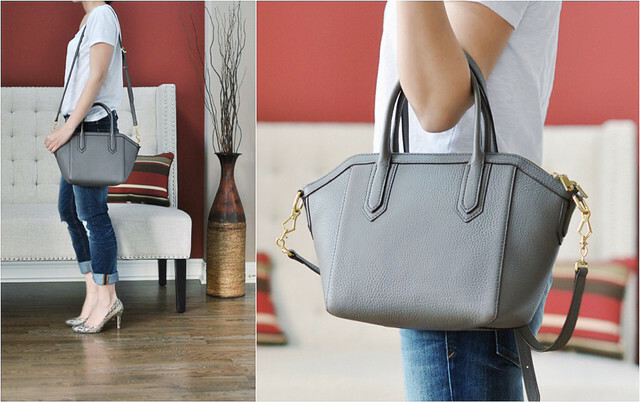 This J.Crew satchel has a very similar design to the popular Givenchy Antigona. Below are a few options if you're looking for a similar design. Such beautiful bags! Very classic structure. I need one like this hehe. Hi Sidney, I bought the Givenchy bag in beign color last year after Wendy features the bag on her blog. I am selling the bag at $1895. The bag is still brand new, have not use. It come with a dust bag, the box I throw it away because I thought I am keeping it. very cute! such a great classic pieces to add to your wardrobe! I'm with you - I try not to carry a lot of stuff so I prefer a pretty small bag. This one looks like a perfect size, and I LOVE the color. It will go with everything. I don't like switching bags very often so a versatile color is really important to me. Great choice but BOO on it being sold out already! Don't you hate that? @swanprincess Hi Cindy! Thanks for letting me know. I wish I can splurge on the bag now but I can't :( Will send a tweet out to see if anyone is interested. Good luck!